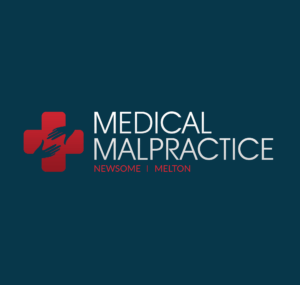 Although medical malpractice that’s reported in the media typically concerns a physician who failed their medical duties, nurses can also be at fault for medical negligence. Since many nurses are hospital employees, the hospital is often the defendant in lawsuits. If the nurse is employed by an independent doctor, he or she may be held responsible for the negligence of the nurse. However, in some cases, nurses may have to defend the care they provided clients. Improper monitoring of the patient’s condition. Since nurses are more often in contact with patients, they should be aware of the patient’s general condition on a consistent basis. Nurses can also be held responsible for negligence outside of a hospital or a physician’s private practice. Similar types of malpractice can occur inside nursing homes, and recent studies have revealed that elder physical abuse is also becoming an issue. One study found that almost 25 percent of respondents reported at least one incident of physical abuse. Nurses can also commit most of the types of medical malpractice listed above, such as giving the patient an incorrect dosage and not properly monitoring the patient’s condition. According to a 10-year study, over $87.5 million was paid for malpractice claims involving nursing professionals. Doctors who attend a surgery at a hospital and supervise a nurse who has committed some form of medical negligence may be held responsible for the nurse’s actions instead of the hospital. However, this depends largely on whether or not the doctor had control to prevent the negligence, and whether or not the physician was present when the negligence occurred. The responsible party depends on the case, unless the nurse’s malpractice is apparent. For example, a nurse who gives a patient too much of a medication than what the doctor ordered has clearly committed medical negligence and is responsible. “Case Study: Medication Administration Error and Failure to Monitor.” Nurses Service Organization. N.p., Apr. 2009. Web. 7 Dec. 2012. Guido, Ginny, and Annita Watson. “Ethical and Legal Guidelines for Nursing Practice.”Medical Surgical Nursing: Preparation for Practice. N.p. : Prentice Hall, 2010. 72-75. Print. Schiamberg, LB, J. Oehmke, Z. Zhang, L. Von Heydrich, and RJ Griffore. “Physical Abuse of Older Adults in Nursing Homes.” US National Library of Medicine(2012): 65-83. PubMed.gov. Web. 7 Dec. 2012.